Stearoyl-CoA desaturase-1 (SCD-1) is the rate limiting enzyme in the biosynthesis of saturated-derived monounsaturated fats that are the major constituents of very-low-density-lipoproteins-triacylglycerol (VLDL-TAG) and are involved in regulating cellular metabolism. The purpose of this study was to evaluate the effects of an 8-week exercise training program on the hepatic gene expression of this crucial enzyme. Female rats either trained (TR) or kept sedentary (Sed) for 8 weeks were submitted either to standard (SD) diet for 8 or for 6 weeks followed by high-fat (HF; 42% kcal) diet for 2 weeks. The 2-week-high fat feeding resulted in an increase in liver triacylgycerol (TAG), plasma free-fatty-acids (FFA), abdominal fat mass, sterol-regulatory-element-binding protein-1c (SREBP-1c), and carbohydrate-response-element-binding protein (ChREBP) gene expression in liver along with a decrease in SCD-1 gene expression and plasma and liver SCD-1 desaturation index (C16:1/C16:0). Liver TAG, plasma FFA, SREBP-1c mRNA, and SCD-1 desaturation indexes (C16:1/C16:0; C18:1/C18:0) were not changed in liver or in plasma by the training program. Nevertheless, training resulted in an important decrease in fat mass (P < 0.01), hepatic SCD-1 mRNA levels (P < 0.01), and protein content (P < 0.05) in both SD and HF fed rats. It is concluded that despite an absence of decreased liver TAG, exercise training contributes to the proper regulation of fat metabolism by down-regulating hepatic SCD-1 gene expression and protein content. This research was supported by the Natural Sciences and Engineering Research Council of Canada (to JM Lavoie), the Canadian Institutes of Health Research (T 0602145.02 to JM Lavoie and D. Prud’homme, MOP-53217, MOP-62901 to J. Gutkowska and M. Jankowski, and MOP-10584, MOP-49433 to E. Levy). 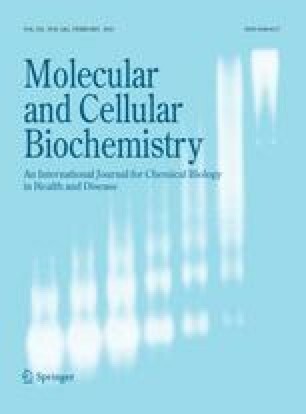 The authors thank Dr. Juris Ozols for the gracious gift of the SCD-1 antibody and Mrs Carole Garofalo and Dr. Alain Montoudis for excellent technical assistance with the lipid measurements.